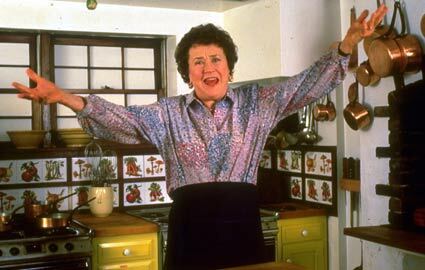 I’m sure most everyone knows this by now, but today would have been Julia Child’s 100th birthday. Tonight, to celebrate, we are hosting a dinner party with some close friends. All of the dishes that we’ll enjoy were either inspired by Julia or are straight from one of her cookbooks. The table is already set with a vase full of fresh lavender, and the iPod is ready with some French tunes for ambience. We’ll post some pictures and details of the dinner afterward, but for now, here are some articles and video clips that we’re enjoying today. This YouTube video is silly, but makes us laugh. Who knew her voice was so sing-songy? The I’ll Bite blog reposted a newspaper story from 1996 in which Kathleen Purvis writes about meeting Julia Child. Google dedicated its homepage to Julia today. This old video shows Julia’s wit as she improvises with David Letterman. 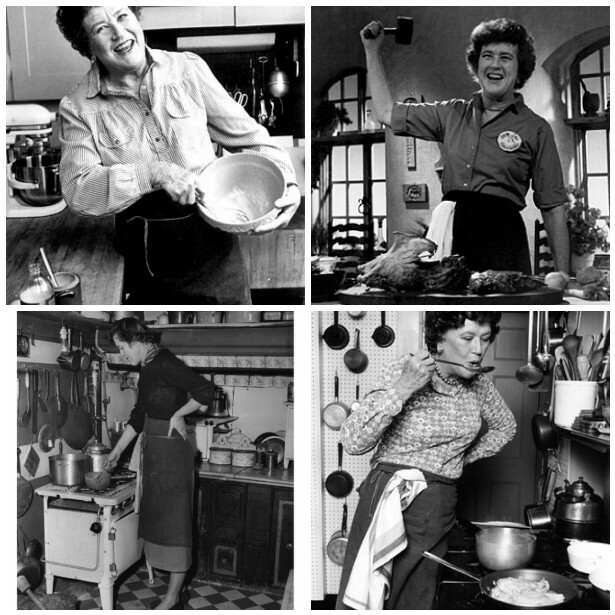 This Washington Post story compiled interviews with chefs (including Jose Andres and Thomas Keller) about what they learned from Julia Child. We think our dinner tonight will honor her well – we’re gathering friends together around a table, enjoying good food without concern for its butter or fat content, and we won’t regret one bite.